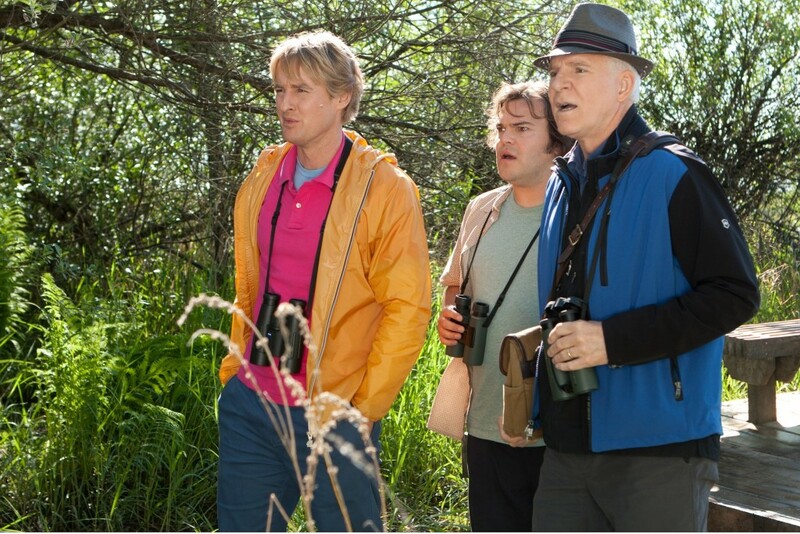 The Big Year made back just over $3million of its $40million+ budget during its opening weekend, presumably on the back of the fact that it includes Owen Wilson, Jack Black and Steve Martin as a trio of headliners. Everything else about the film is a tough sell. The subject - a race to spot as many birds as possible in a calender year - rather whiffs of being as dull as the slightly wet stuff found at the bottom of ditches, the certificate (PG, on both sides of the Atlantic) suggests that the humour is going to be of the gentle kind, the director, David Frankel, is hardly a household name and even the stars seem to have been on the decline over the last few years. There's also some competing comedic types going on. It's easy to imagine that Wilson and Black might put off fans of Martin and vice versa. What emerges is hardly surprising. The Big Year is a gentle roulade of age-appropriate jokes, attempts to make bird watching interesting, and fluffy, all-together too happy, plot points. Martin's relationship and family life is far too sound to invest in, Black and Wilson's romantic interests are only going to end up in one place. The early, grating, narration from the former of that duo soon gives way as the most offensive thing in the film to be replaced by CGI birds, which feel like a bit of a cheat. That's it, that's how offensive this film gets. CGI birds. Yet, despite the fact that there's not much here there is enough to float you along gallantly, at least two of the leads - Black and Martin - proving affable enough performers to engage with. It seems to shoot for the tone of a similarly-styled comedy, The Bucket List, which had bigger stars and made oodles more money. Without that film's acerbity, it lacks something tangibly involving but it is incredibly difficult - not to mention cynical - to penalise a film merely for lacking edge. For families especially, a PG character-driven comedy, will probably come as a welcome change of pace.